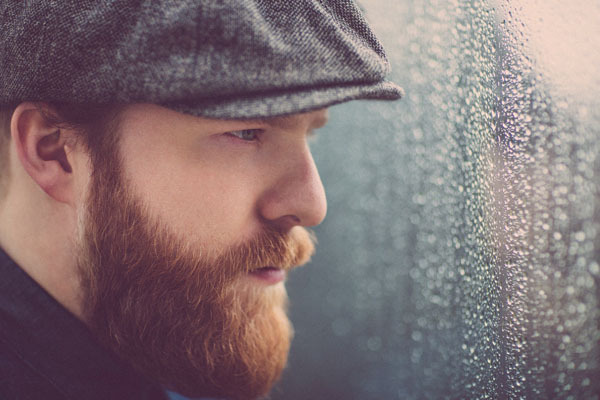 Alex Clare catapulted to fame in March 2012 after his song “Too Close” was featured in a series of commercials for Internet Explorer 9. The song hit number seven on the US Billboard Hot 100 list to become his first top-ten hit. His most recent album, Tail of Lions, was released last year. Originally from London and now living in Jerusalem, Clare recently toured North America with a stop in New York City. How do feel when you hear iconic song “Too Close” played around the world? I love it! The song changed my life. I had lost everything – I lost my record deal, I lost a lot. “Too Close” then became an international hit, so it changed my life. It enabled me to do what I love – which is make music. I don’t know what else I would do. As a livelihood it’s something I love doing, and it means I get to travel all other the place and see amazing places and meet amazing people. When I was in London, kids would come up to me and be like ‘hey Alex – I’m too close to you!’ – it’s so nice. It gives me such inspiration that I did something in my life that millions of people know and recognize. You sing it with a lot of passion – was it based on a relationship you had? Yes…sort of…kind of. I was growing in one way and there was a friend of mine, who was a friend for a very long time, whom I decided to maybe one day date, and then I realized that we were just two different people. I had to reclaim some boundaries – so that’s kind of what “Too Close” is about. Are you in touch with that person at all? Does she know it was about her? No, no, not at all! I think so…maybe…? When I write a song — generally it has to be personal, it has to be related to something that’s happened in my life. I’m not David Bowie – David Bowie could write like lyrics about anything and reel off nice rhymes and nice stories but I can’t – it has to be cathartic for me. Tail of Lions is all about my experiences over the last few years. The title is actually from a Hebrew principle that it’s better to be a tail to a lion that the head to a fox. With what’s been going on over the last few years, politically and sociologically and celebrity culture, you see that there are a lot of people that have risen to the top who don’t necessarily have the ability or wherewithal. The culture of celebrities has gone completely bananas. What advice would you give someone trying to succeed in the world? The biggest piece of advice I say is never compromise. Never compromise your values for anybody – you would never be happy with it. Any time I felt I had to like compromise I felt terrible afterwards. You have to stay strong, and be flexible – but don’t negate your value system or your perspective for the pressures of the outside world – the world of commerce, the world of music – whatever it may be.